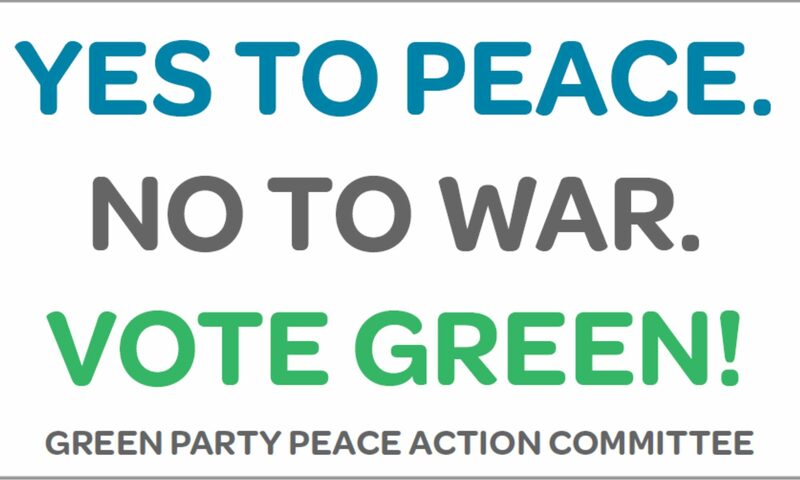 A letter written by the Green Party US Peace Action and International Committees to the International Criminal Court (ICC) has been endorsed by the Green Party US. This letter urges the court to investigate Israel for war crimes against the Palestinian people and will be delivered to the ICC at the Hague in November. The letter will be circulated to peace and justice organizations and influential individuals around the world requesting their endorsement prior to delivery. Go here right now and add your support. Our goal is to convince the ICC to investigate Israel for war crimes against the Palestinian people. We also want to demonstrate to the world that there are people in the United States who want to hold Israel accountable. We are in the process of forming a delegation of US Greens to deliver the letter. Thus far we have a tentative agreement from Ajamu Baraka, Margaret Flowers, Kevin Zeese, Miko Peled, and Marie Spike. We do not want the world to think the views of the Democratic and Republican Parties on Israel are the views of all people in the United States. We will demonstrate that the Green Party of the United States disagrees with the corporate duopoly. This will also send a message to people in the United States that there is a political party that stands for the human rights of Palestinians and against the war crimes of Israel. We expect this effort will begin to change the political dialogue in the United States and garner international and domestic media coverage. The Green Party Peace Action Committee (GPAX) has endorsed the U.S. Campaign for Palestinian Rights’ Petition demanding a congressional investigation into the excessive and lethal use of force against the Palestinians demonstrating at the Gaza border prison fence since March 30, 2018 for their legal right of return. As of July 13, 2018, IDF snipers have killed 138 and injured more than 160,000 others. Israel is the largest recipient of US military aid, 3.7 billion a year, and the Leahy Law requires the imposition of sanctions against any government which uses US military aid to commit human rights abuses.